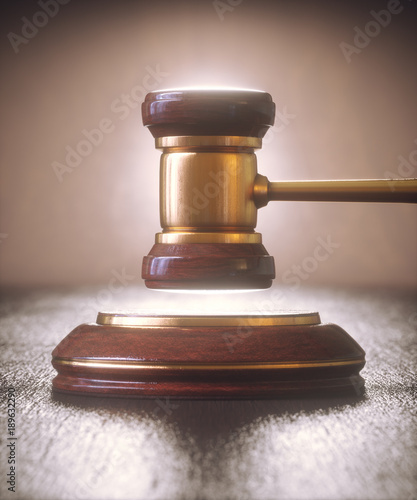 Judge Hammer Gavel Bid Auction. Gavel, judge hammer. Close up of wooden hammer with gold details. Concepts of law and auction.